The Irish College of Humanities and Applied Sciences warmly welcomes the latest development on the road to Statutory Regulation in the fields of counselling and Psychotherapy. There have been many ‘false dawns’ and significant doubt in some quarters that the Government would ever designate the professional titles of Counsellor and Psychotherapist, but that doubt is now over. The Minister for Health who was widely praised in recent weeks for his leadership stance in relation to the repeal of the 8th Amendment to the Constitution, has taken another brave stand in relation to the statutory regulation of Counselling and Psychotherapy. That brave step involved the signing of the Statutory Instrument to designate the professional titles of Counsellor and Psychotherapist May 17th, 2018. ICHAS has the largest number of students studying Counselling and Psychotherapy related areas of practice at undergraduate and postgraduate level in the Independent college Sector in Ireland and in that context, we warmly welcome this action by Minister Harris and we wish to draw attention to the content of the Statutory Instrument. It stipulates that the designation of the professional titles of counsellor and Psychotherapist takes effect from July 2nd, 2018. That does not mean that Coru will regulate Counselling and Psychotherapy from that date, rather it means that Coru will now establish a Registration Board to establish the Register. That will take some time but the process has now been initiated, which is a very welcome development. The Statutory Instrument clearly indicates that there will be one registration board appointed for both Counselling and Psychotherapy. We look forward to its establishment and wish it well in the historic work of formally setting professional standards for Counselling and Psychotherapy. These standards will include Educational requirements, codes of conduct etc..
We expect that in its work, the Registration Board will take due cognisance of the consultation process already undertaken by the Department of Health, the Award Standards for Educational Programmes set by QQI in 2014 and the positions taken by most of the voluntary Professional Accrediting Bodies which have consistently recommended that those wishing to gain entry to the professional practice of Counselling should hold a minimum of a Level 8 Qualification in Counselling related areas on the National Framework of Qualifications and that those wishing to practice as Psychotherapists would hold a minimum of a Level 9 qualification on the National Framework of Qualifications in a relevant area of Psychotherapy. The Department of Health has consistently indicated that QQI qualifications or equivalent will be necessary in order to register with CORU to use the newly designated titles of Counsellor or Psychotherapist. All undergraduate students have a seamless route to achieve Level 8 Degrees in Counselling and Psychotherapy; Counselling and Addiction Studies and Counselling and Youth Studies. Likewise, postgraduate students have a route to achieve a Level 9 Degree in Counselling and Psychotherapy, Cognitive Behaviour Therapy and Counselling and Pastoral Care and hopefully in the next few weeks we will have approval from QQI to run an MA in Addiction Counselling. We would remind you that all ICHAS programmes are awarded by QQI and meet the QQI Award Standards for Counselling and Psychotherapy as set out in 2014. We commend the Professional Accrediting Bodies who have supported the work of ensuring Statutory Regulation in the interests of the proper regulation of both areas of practice and ensuring the proper protection of the Public. We especially commend the Psychological Therapies Forum and the Associations which contributed to its functioning and which has worked tirelessly since 2005 to support the journey towards Statutory Regulation. While the existing voluntary Professional Accrediting Bodies may not have a formal role in professional accreditation/registration when Coru commences its work, we look forward to working with them in a range of other ways to promote best practice, as they have always done and to provide opportunities for Continuing Professional Development. We would remind applicants for Counselling and Psychotherapy Programmes and students of the College who are currently studying at undergraduate or postgraduate levels to familiarise themselves with the current work of Coru so that they can best judge the type of processes and standards CORU undertakes/ requires with the professions it currently regulates. These include Social Care and Social Work as well as a range of other profession [Insert link]. That might serve as a useful indicator of how Counselling and Psychotherapy may be regulated. Likewise, please keep up to date on developments by visiting the Department of Health Website [Insert link]. Both these bodies offer authoritative, non-biased and independent information, but it is important to note that like all professions that are regulated under statute, practitioners who are not registered with the regulatory authority and who fail to meet their standards will not be able to practice. In that regard, it will be Coru which will be the regulatory authority. We look forward to updates from Coru and the Department of Health and will keep you advised of any developments we become aware of. 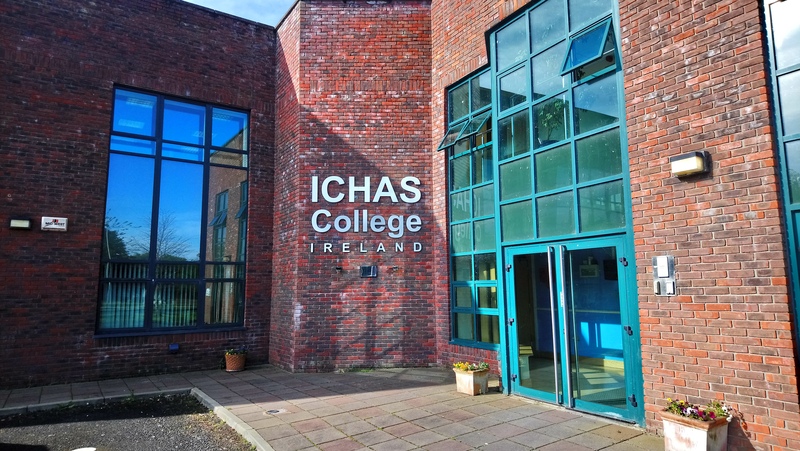 If you require any further advice, clarification or guidance, please contact the College directly at info@ichas.ie or on 061 216288.